Madeleine was a teacher, and a loving mother and grandmother. She was born on June 4, 1925, in London, Ontario, and died July 8, 2016, after losing a courageous battle with arthritis and Parkinson’s. Following two years of service during WWII in the Canadian Women’s Army Corps, Madeleine graduated with a BA from UBC in 1948, then taught school in Jamaica and, later, Langley, BC, where her Junior High School dance class won first prize at the Langley Waltz Festival. She continued her interest in teaching and, after certification from the University of Alberta, Madeleine taught at the King Edward Junior High School in Edmonton. 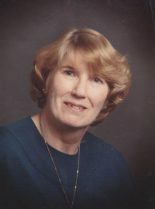 A move with her husband John and their family took her to Calgary where she taught for several years at the Louse Dean School. As a teacher she enjoyed following the achievements of her many former students. An adventurous spirit and a fascination with elephants took her and John on many photo safari trips to Africa and other foreign countries. A lifelong love of reading and books inspired her to organize a book club for her friends. She is survived by her husband of 64 years, daughter Leslie, son Victor, his wife Ola and their daughter Nikita.